The past six weeks have been crazy busy around the LifeWay Small Groups halls. And the majority of my time has been devoted to a resource that will release in February. It’s called Stolen, it’s with Chris and Kerry Shook, and it’s compelling … to say the least. Kerry and Chris Shook founded Woodlands Church, formerly Fellowship of The Woodlands, in l993. Since then the church has grown to 17,000 in average attendance each weekend. It is one of the fastest-growing churches in America. Kerry and Chris wrote the New York Times best-seller One Month to Live: Thirty Days to a No-Regrets Life as well as Love at Last Sight: Thirty Days to Grow and Deepen Your Closest Relationships. Here’s a little bit about this six-week study: Over the course of our lives the Enemy works hard to rob us of the treasures God has set aside for us—our inheritance, strength, peace, dreams, joy, and passion. 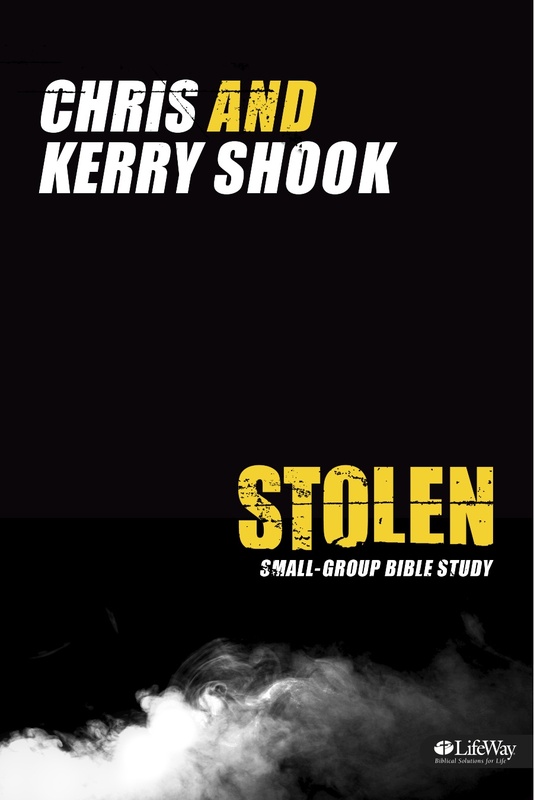 In this creative small-group Bible study, Pastor Kerry Shook and his wife, Chris, use specific biblical examples to lead you into a discovery of the ways you can reclaim these treasures. From illustrations of how Paul was able to find strength in God’s promise to the Shunammite woman who had allowed her dream to die to how we see passion play out in the story of the prodigal son, you’ll discover the bigger picture of who we are in Christ and all He intended for us to experience. Watch for more information coming soon. But first check out this message from the Shooks. And get ready for a journey to reclaim what is rightfully yours! As I type this blog post, our latest Platform resource—Fresh: Reviving Stale Faith—is on the way to the printer. While editing this project, Kerry Shook both challenged and inspired me. Let’s see—meditation, fasting, and silence. OK, so … I have a tendency to get focused on my to-do list, my agenda and often forget to carve out time to meditate on God’s Word on a regular basis. And fasting … well, I’ve never fasted in my entire life. And then there’s silence … my friends who are reading this are laughing out loud right now because being quiet and still are definitely not strengths for me. Honestly, I’m embarrassed to admit those things here. But I bet I’m not alone. Does your faith ever feel stale? Are you maybe a little intimidated when you think about carrying out these spiritual disciplines in your own life but at the same time you’re at least a little curious—and a lot ready for a fresh faith? Then this study is worth checking out. silence and reveals the irony of how patterns of the past are really practices that promise to revive our faith. Kerry is senior pastor of Woodlands Church, one of the fastest-growing churches in America. He and his wife Chris founded Fellowship of The Woodlands, now Woodlands Church, in 1993. Since then the church has grown to 17,000 in average attendance each weekend. Fresh: Reviving Stale Faith will be available December 1 … check it out! For the first time, LifeWay Small Groups brings you a Bible study inspired by an award-winning novel. Through the power of visual storytelling, teaching from the author, and scriptural truths, Rooms: The Small-Group Experience will guide your group into deeper biblical truth and understanding. 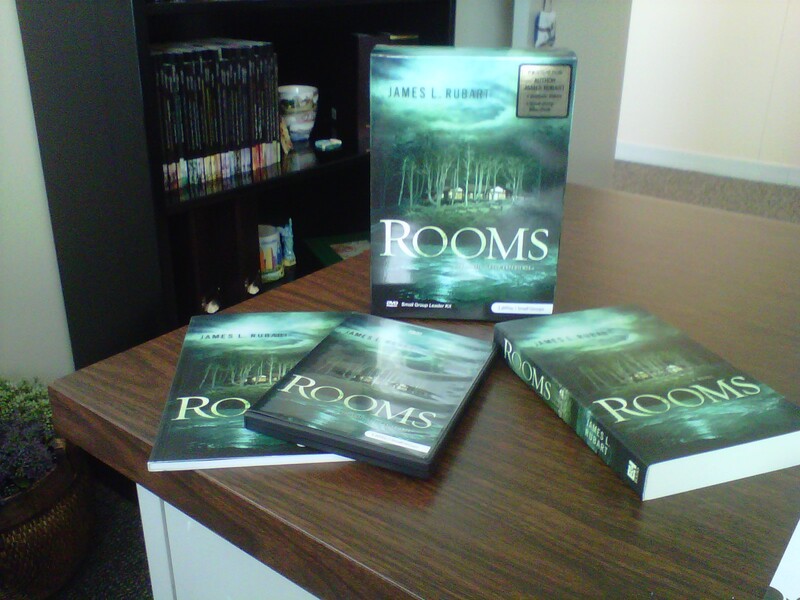 Rooms is the story of Micah Taylor—a young software tycoon—who inherits an incredible beachfront home from a great uncle he never knew. A home on the Oregon coast. In Cannon Beach. The one place Micah loves. The one place he never wants to see again. But strange things happen in the house. Things Micah can’t explain. Things he can barely believe. The locals say that the house is “spiritual.” But Micah slowly discovers the house isn’t just spiritual, it is a physical manifestation—of his soul. While Rooms: The Small-Group Experience uses story, character, and themes from the novel, it’s been created so that even someone who has not read the book—or who does not intend to—can still find fresh perspectives and strong biblical content. This study is a powerful experience for those who have read the novel as well as those who haven’t. I’ve edited lots of incredible LifeWay resources in my almost 22 years here, but I’ve never been quite as excited as I am about Rooms. This study will be available October 1. Click here for a sneak peek. In 2005, precious baby Rebekah was born to my friends Dave and Teresa, two of the godliest people I know. The way they live their lives has always been an inspiration to me, but never as much as in the years since Rebekah’s birth. You see, Rebekah only lived for six days. I will never truly know what the past six years have been like for my friends. And in totally honesty, I feel guilty that I haven’t been more involved in their lives during that time — especially since I’ve been a recipient of the blessings Dave and Teresa have experienced through their grief. I never got to meet Rebekah, but the impact her life and death have had on me is indescribable. Her family has allowed her story to live on in a truly dynamic way. Dave and Teresa, along with their daughter, Lydia, have taught me that God has a significant plan for us — no matter how long or short our lives. I have seen His strength and goodness in the midst of tragedy because this family had allowed me to. They have been open about their emotions — good and bad. They have shown their humanness without shame. I have witnessed them give God the glory through unbelievable sacrifice. I have been challenged and humbled. And I’m so thankful. Dave and Teresa’s message is one of not letting loss defeat us but instead allowing it to change us for the better. Maybe you are grieving the loss of something or someone significant. Or perhaps you are walking that road with someone dear to you. What an incredible testimony your story can be. I encourage you to share your journey with others in your life—your small group, your community, your tribe. You never know what God will teach them through you. Six days, one tiny baby, a God-honoring family, and my life will never by the same. Now there’s a phrase no one wants to hear coming from a surgeon’s mouth. But those were the words spoken to me a couple of years ago. Turns out that experience continues to be a truly defining moment for me. And as I wrap up one year and press the start button on the next, my reflections keep turning to how that major surgery affected my life. Bottom line, I’ve been thinking a lot about what I value most. You know how that works — something comes up that you didn’t anticipate and it challenges all your assumptions of how you thought life should go. And if you’re not careful it can knock the wind out of you. Well, that experience did knock the wind out of me and still does from time to time. But the reality is that life is messy and we’re never going to have all the answers. So as Christians we’re left with little more to do than trust the One who knows what’s best for us and will settle for nothing less for our lives. And that’s where I’m trying to put my focus. I’ve decided to put the kibosh on the drop-two-dress-sizes-in-a-month resolution and the get-out-of-debt-quick resolution and adjust my focus to things a little more eternal. I read an article recently about some great ways to kick-start your spiritual life in the new year, but one seemed to fit my circumstances especially well — it’s about sharing your own unique story. God can use what I’m going through to help others if I allow Him to. I like how that sounds. And that’s what I want to do differently this year — I want to be more open, more accessible, and even more vulnerable. 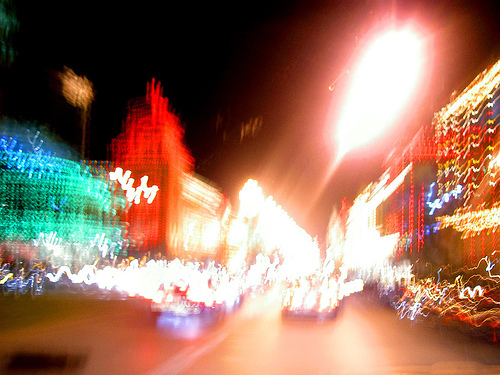 As you walk into 2011 and encounter things along the road that you had no way to anticipate, ask yourself if you’re willing to let God use the messy stuff of your life to help others clean up theirs. You never know when someone else is walking a road similar to one you’ve already been down. 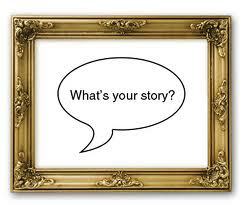 Nobody else has your story. Dare to tell it. I finished my Christmas shopping before Thanksgiving this year — gifts wrapped and under the tree. My cards are done — complete with handwritten notes. My decorations have been up for weeks. Now, in an ideal world, I’d be sitting back with my peppermint mocha enjoying all the sights, sounds, and smells of the season. But wait … I just got a card from a friend I marked off my list years ago. And last week I had lunch with someone who came bearing gifts. We’ve never exchanged gifts before. Should I run out and buy a gift? Or does that make it even more obvious that I didn’t intend to get her anything? And while I was out running errands the other day I saw some decorations that would look great outside my house. I do need to add to my collection this year — all the neighbors did. And then there’s that holiday baking I wanted to do. But I’m running out of time, so I’ll probably just pick something up at the bakery. I’m sure my friends will enjoy that more anyway. I’m not much of a cook. Funny how it seems as if it’s never all done. I’m exhausted. I thought by getting ahead of the game I would eliminate the stress I experience every year when I focus on everything I think needs to be done — and done perfectly, of course. Maybe the real stressor isn’t the dozens of things I feel I need to do but, instead, why I choose to do those things. Do I send Christmas cards because I genuinely want to stay in touch with all those people? Or do I send cards because I feel an obligation to those who send cards to me? Do I give gifts because I want those special people in my life to know I think they are special? Does the gift have to be the “perfect” thing? Or can it be something that reminds me of my friend or a memory we share? And what about those decorations? Do I really care how I measure up to the neighbors? This year I want the reason behind everything I do to be a reflection of Jesus. I want my Christmas cards to serve as a way to catch up with those I don’t talk to often but care deeply about. I want to give gifts out of love. I want to bake so that the important people in my life have something I took time to create just for them. I want to decorate because it makes me happy and makes my home welcoming to others. Things don’t have to be perfect; they just have to be special. After all, the stable wasn’t perfect, but it was special because Jesus was there. I hope you have a wonderful Christmas, and I pray your holiday will be about those things that are closest to your heart. Driving to work one morning last week I was introduced to this song. And it literally rocked. my. world. When I got to the office I played it dozens of times over. I couldn’t get enough. 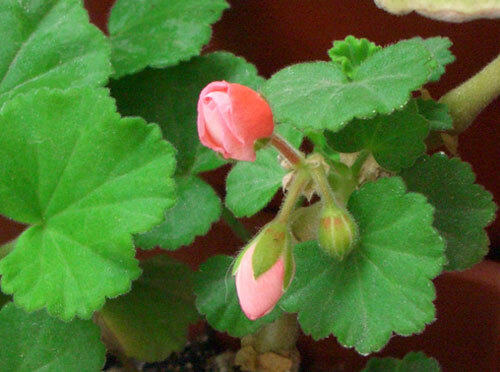 It seemed to soothe my soul and heal an old wound that had recently resurfaced. But as I listened to and read through the lyrics, I was also struck by how much this song speaks to the true purpose of redemptive community. Community is a place where we can share our scars and learn from the scars of others. We can exchange the guilt and shame for grace, mercy, and unconditional acceptance—perhaps for the first time ever.